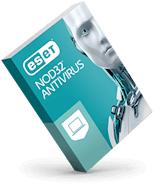 ESET uses multilayered technologies that go far beyond the capabilities of basic antivirus. Download this white paper for an overview of core ESET technologies and an approximation of when and how they can detect and/or block a threat during its lifecycle in the system. 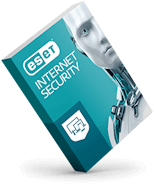 The ESET Cloud Malware Protection System is one of several technologies based on ESET’s LiveGrid? cloud system. Unknown, potentially malicious applications and other possible threats are monitored and submitted to the ESET cloud via the ESET LiveGrid? Feedback System. The samples collected are subjected to automatic sandboxing and behavioral analysis, which results in the creation of automated detections if malicious characteristics are confirmed. 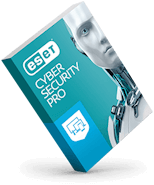 ESET clients learn about these automated detections via the ESET LiveGrid? Reputation System without the need to wait for the next detection engine update. Afterwards, our ESET LiveGrid? Reputation System is queried for the object’s reputation (i.e. whether the object has already been seen elsewhere and classified as malicious). This improves scanning efficiency and enables faster sharing of malware intelligence with our customers. Moreover, some new malicious code now operates "in-memory only," without needing persistent components in the ?le system that can be detected conventionally. Only memory scanning technology, such as ESET Advanced Memory Scanner, can discover these attacks. Stay up to date on IT security with news, views and how-tos from our experts. Join professionals from the www.t8z3a.cnmunity for IT conversations. Join us on Facebook for everything ESET – including news and unique fan content!